Soldiers from the 14th Field Artillery Regiment conduct a 72 hour joint exercise to test their capabilities and limits. Photo by U.S. Army photo. 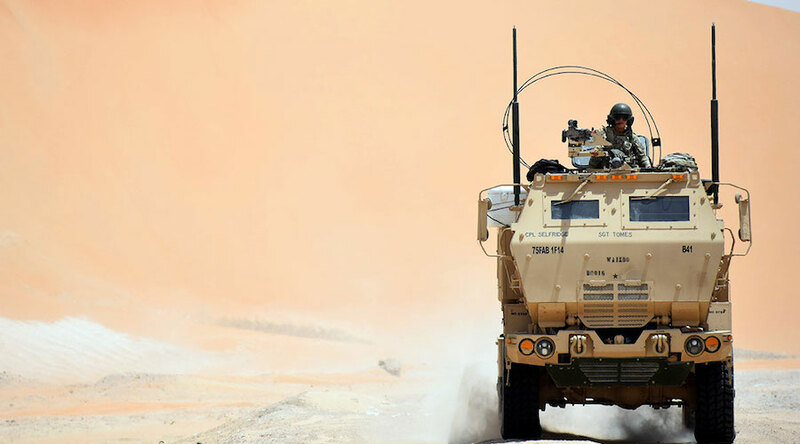 Scientists with the U.S. Army Research Laboratory, the University of Maryland and the Paulista State University in Brazil created a new gold-silver alloy with the idea of lightening the load and enhance the power of devices used by soldiers on the battlefield. 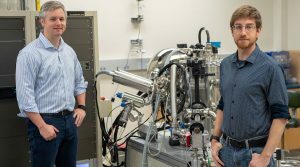 In an article recently published in Advanced Optical Materials, the researchers explain how they are working on controlling the optical and plasmonic properties of gold and silver alloys by changing the alloy chemical composition. "We demonstrated and characterized gold/silver alloys with tuned optical properties, known as surface plasmon polaritons, which can be used in a wide array of photonic applications," David Baker, one of the authors of the paper, said. "The fundamental effort combined experiment and theory to explain the origin of the alloys' optical behavior. The work highlights that the electronic structure of the metallic surface may be engineered upon changing the alloy's chemical composition, paving the way for integration into many different applications where individual metals otherwise fail to have the right characteristics." U.S. Army Research Laboratory scientists Dr. David Baker and Dr. Joshua McClure pose in their lab at the Adelphi Laboratory Center, where they are working to lighten the load and enhance the power of Soldier devices used on the battlefield. Photo by Jhi Scott, U.S. Army. According to the researchers, having discovered these properties allows them to optimize the optical dispersion and light-harvesting capability of the alloys. This means that these materials can outperform systems made of individual elements like gold. "The insights of the paper are useful to soldiers because they can be applied to a variety of applications including, but not limited to photocatalytic reactions, sensing/detection, and nanoscale laser applications," co-author Joshua McClure said. "When tuned properly, the integrated alloyed materials can lead to reductions in the weight of energy harvesting devices, lower power requirements for electronics and even more powerful optical sensors." As a follow-up to this work, the scientists are now looking at other metallic alloys and anticipate that their combined experimental and computational approach may be extended to other materials, including nonmetallic systems.